I thought I'd kick this week off with a new tag, I wasn't tagged to do this by anyone but I've seen it floating around on some of my favourite blogs recently. This tag was originally created by Famous in Japan. I have really enjoyed reading through their answers and I thought it would be fun to take part in myself so here we go..
1) Who are your most influential bloggers? Who are the ones that you rely on for reviews and swatches? Ooh okay, this seems like a difficult one because I have so many favourites but I'd say the most influential bloggers are Anna from ViviannadoesMakeup and Adrienne from The Sunday Girl. I go to various different bloggers for their reviews and swatches but I rely mostly on Fleur de force and Milkteef. They have great quality photos so you can see what the product looks like very clearly and they write very in depth reviews. 2) Do you buy a product soley as a result from one review from your favourite bloggers or do you look for more reviews on others? I can't say I've ever bought a product based soley on one review, I always google for reviews and swatches of the product before I decide whether or not I should part with my money whether it's about a drugstore product or higher end. 3) What is your most favourite item that you have bought as a consequence of blogs? Ooh, another difficult one! but I'd have to go with the Urban Decay Naked Palette. 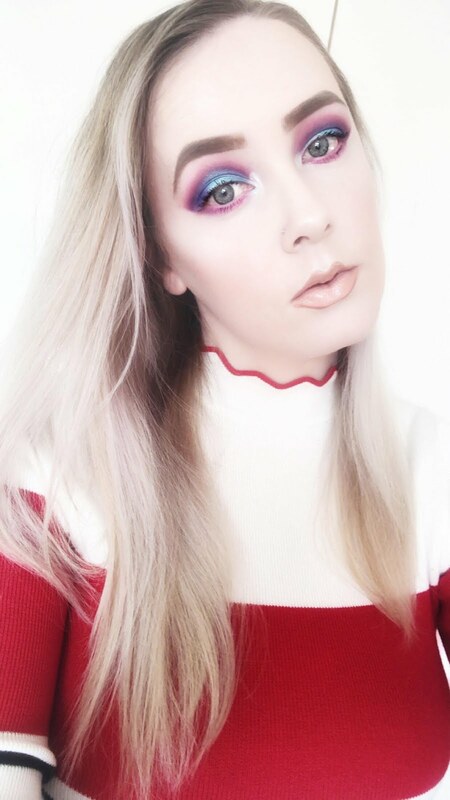 Before I bought this eyeshadow palette I was wearing the same makeup everyday but since using this I have been experimenting with the shades, I can create every single look possible from a gorgeous smokey eye to a natural look, it's amazing. 4) What is your least favourite item that you have bought as a consequence of blogs? 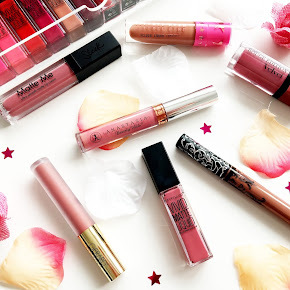 I hopped onto the maybelline babylips hype a few months ago after reading some positive reviews about them and since then I've completely gone off the raved about lip balms. 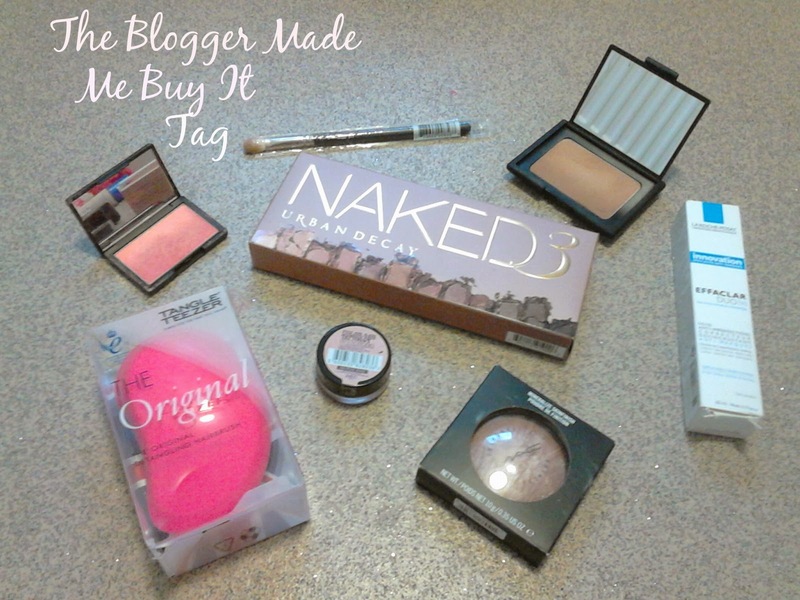 5) Name 5 products you have bought recently as a result of blogs? The majority of products that I've got in my makeup collection is actually mostly due to myself reading wayy too many blog posts. 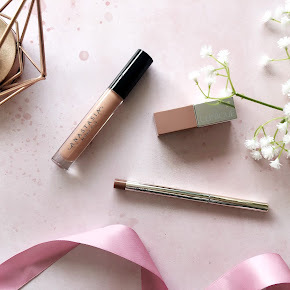 The most recent products I've bought as a result of blogs are the Urban Decay Naked 3 Palette, Revlon Colorburst Matte Balms, NARS Laguna Bronzer, La Roche-Posay Effaclar Duo+ and LUSH Bubblegum Lip Scrub. 6) Have you ever given into blogger hype? If so, what hype? I tried avoiding the Naked 3 palette hyper at first but I failed and I recently gave into it after reading so many positive reviews about it. I also gave into the hype surrounding the Maybelline baby lips last year, I liked Cherry Me at first but I don't get any use out of them now. 7) Have you ever avoided blogger hype? If so, what hype? I completely avoided the hyper surrounding the Benefit They're real mascara. I avoided it as I think the high street produce better quality mascaras for a third of the price of Benefits they're real mascara. 8) Is everything you buy based on blogger reviews or are there some items you buy without checking a review? I'm going to be honest and say it's 50/50 really, if I see something I like but haven't seen any reviews on the item I'd buy it on impulse whether it's a beauty or haircare product. 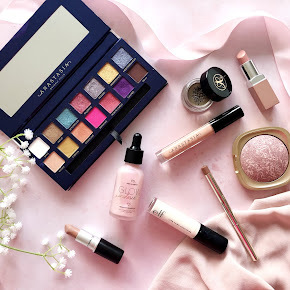 I also have a huge wishlist which has since gotten bigger after reading many reviews so if I see one of the products I want due to this I'll pick it up in an instance. As for my skincare, I'm much more fussier with this, I have to read up on a skincare product before purchasing. I tag every single one of you lovely ladies(or gents) I hope you enjoyed this little tag, I really enjoyed writing it.